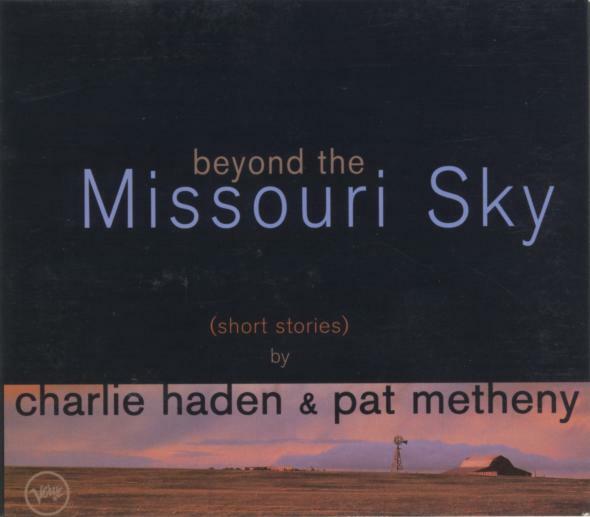 The CD that has this track – beyond the Missouri Sky (short stories) by charlie haden & pat metheny – was somewhat of a speculative purchase. The cover art and the title – spacious, melancholic, poetic – drew me in. Sort of lit a sense of fondness & nostalgia for my own home town*. Feelings that only exist by virtue of going beyond its boundaries and limitations. Interest was almost sure to convert to sale … and the names of the artists sealed it. I trusted it would be a quality offerheard quite a lot of Charlie Haden over the years extending back to school days and some of Pat Metheny. I trusted it would be a quality offering. 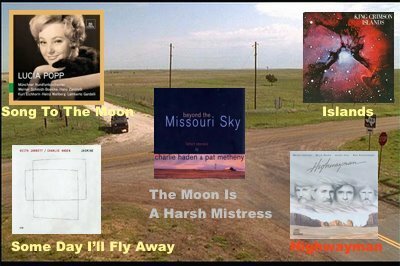 Both Charlie Haden and Pat Metheny grew up in Missouri – about 100 miles from each other. And composer Jimmy Webb’s roots are not all that far away in the neighbouring state of Oklahoma. The song has been recorded by many, the first by Joe Cocker in 1974. I had never heard the song (as far as I remember) until I played this album. It was late, quiet, the track started and the world seemed to stop – a song that seemed as spacious as the Missouri sky. Timeless, a momentary visit to a parallel universe where joy and melancholia can be felt simultaneously. 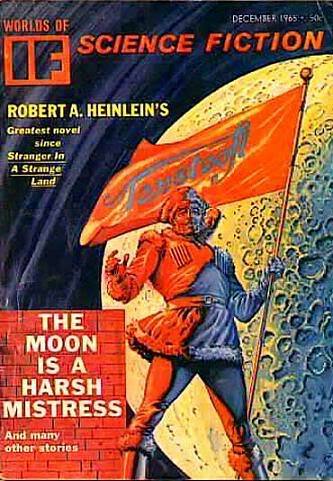 Webb composed this song around the the title of the highly acclaimed 1966 book from Robert A. Heinlein. What connects The Moon Is A Harsh Mistress with Highwayman? Jimmy Webb is the link – composer of both songs (and many others). * 1959: The Year That Changed Jazz – A documentary (58m 58s) that focuses on 4 jazz albums released in 1959. Charlie Haden played on one those albums – Ornette Coleman’s The Shape Of Jazz To Come. Haden is also interviewed in the documentary. The other 3 albums are: Miles Davis – Kind Of Blue; Charles Mingus – Mingus Ah Hum; Dave Brubeck – Time Out. Joe Cocker – Live. Unsure where, I think it is 1983. Johnny Cash is the only individual member of The Highwaymen who has been singing to me since I started collecting records. In fact, well before I bought first vinyl LP, I was listening to Cash. He was one of Roger’s (my father’s) favourites. I heard the others – Waylon Jennings, Kris Kristofferson, Willie Nelson – much later. But country music didn’t really interest me too much then. 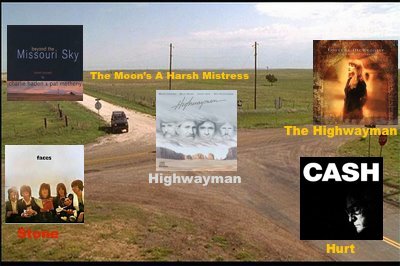 Nor do the Highwaymen – but somehow their first album is in my shelves and I just love the title song – Highwayman – written by Jimmy Webb. 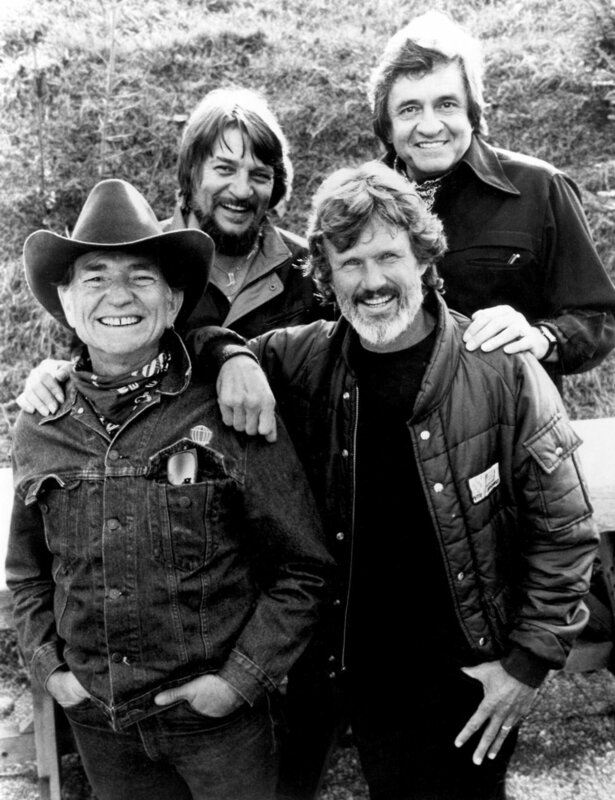 The Highwaymen took their name from the song. The four icons of country music had decided to do a project together while they were recording a TV special in Switzerland. Thy began recording in 1984. Marty Stuart played the song to Cash suggesting it would be perfect for this new country super-group – 4 verses, 4 souls, 4 singers. Then Glen Campbell (who’d recorded the song in 1978 but his record label refused to release it) played it to all four of the super-group – and they immediately had the group’s name, the title of their first album, and a song for their first single. How are Highwayman & Stone linked? Both songs track a journey of reincarnation – birth, life, death, rebirth. I’ve been tinker, tailor, soldier, sailor. I’ve known good times and disaster. The master is perfection, so he’ll help us get there faster. * Highwayman performed by Jimmy Webb. * Albert Lee peforming Highwayman. West: Stone is that way.